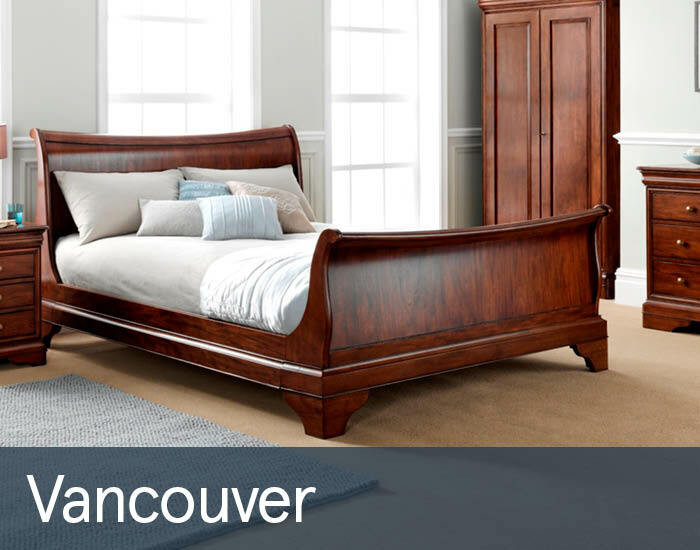 Vancouver is a comprehensive collection of luxurious, traditional bedroom furniture, inspired by classic French Louis Philippe designs. Expertly hand crafted from solid Hevea wood and Prima Vera veneeers, using time-honoured techniques, each piece exudes the finest attention to detail, with elegant profiles and plinths, antique brass accents and discrete velvet-lined jewellery drawers. A glamorous sleigh bed provides the centre-piece to what is sure to make a grand classic statement.